Boardman…A Mass of Christian Burial will be held Wednesday, Sept. 5, 2018, at 11:00 a.m. at St. Charles Borromeo Church, for Atty. 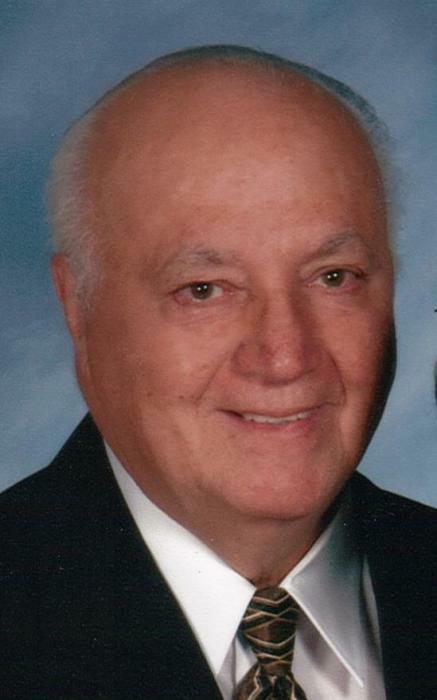 Dominic S. Lefoer, 82, who passed away early Saturday morning, Sept. 1, 2018. He was born April 9, 1936, in Youngstown, the son of Dominic and Angelina Bellino Lefoer. Dominic earned a Bachelor’s degree in Education from Kent State University and went on to obtain a Law degree from Ohio Northern University. He was a proud veteran of the US Army and fought for his country in the Korean War. Dominic worked as an Attorney for the City of Youngstown and was a Professor at Youngstown State University. He also had a private law practice for many years. He was a parishioner of St. Charles Borromeo Catholic Church in Boardman. Dominic was a member of the American Bar Association and the ITAM Club of Youngstown. He enjoyed watching his favorite sports teams, the Cleveland Indians and Cleveland Browns. Above all, Dominic loved being with his family and spending time with his grandchildren. Dominic will be deeply missed and forever cherished by his wife, the former Irene Svagerko, whom he married November 27, 1965; his children, Dr. Dominic S. Lefoer (Holly) of Poland and Philip Lefoer (Michele) of Canfield; grandchildren, Anthony, Matteo, Carmen, Alexis and Michael Lefoer; and his sisters, Flora Reese of Austintown, and Sally Grace and Carol Lefoer, both of Canfield. Besides his parents; he was preceded in death by his siblings, Dominic Lefoer, Philip Lefoer, Virginia Tyler, Antoinette (Dolly) Mills, Carmel Yozwiak, Nicholas Lefoer, Marie Perry, Nancy Lawman and Theresa Smith. The Lefoer family has entrusted their loved one to the care of the Wasko Funeral Home and will receive family and friends Tuesday from 6:00-8:00 p.m. at the funeral home, and again Wednesday morning from 10-11:00 a.m. at the church, prior to the 11:00 a.m. Mass of Christian Burial.